Earning people's trust, rather than presuming it at sign-up, requires us to think more deeply about how real human-to-human relationships are started, cultivated and negotiated over time. Oink is a fictional challenger bank aimed at a younger market who don't rely on branch-based services. 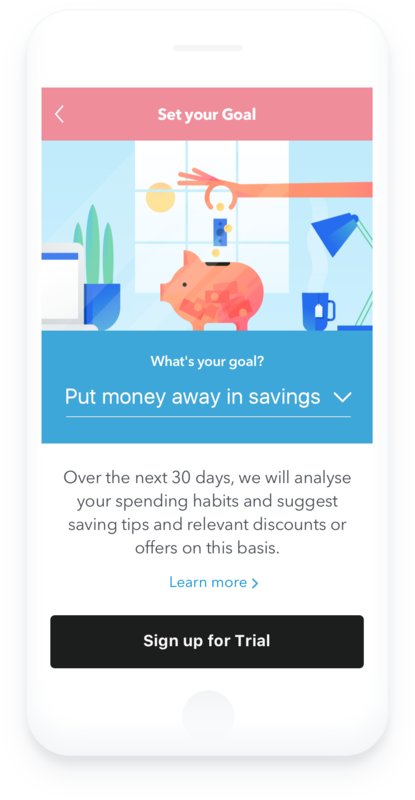 Oink aims to make people’s spending habits more visible and to encourage short and long-term saving. To do this effectively, Oink relies on data gathered by monitoring people's daily purchases, cash movements, and displays suggestions to guide them towards meeting financial goals. The handling of personal data is particularly challenging for Financial Tech (FinTech) apps and services because, on the one hand, there's an inherent trust required when allowing a company to look after your money, while on the other hand you may be hesitant to give up too much personal data without feeling reassured that they're worthy of your trust. 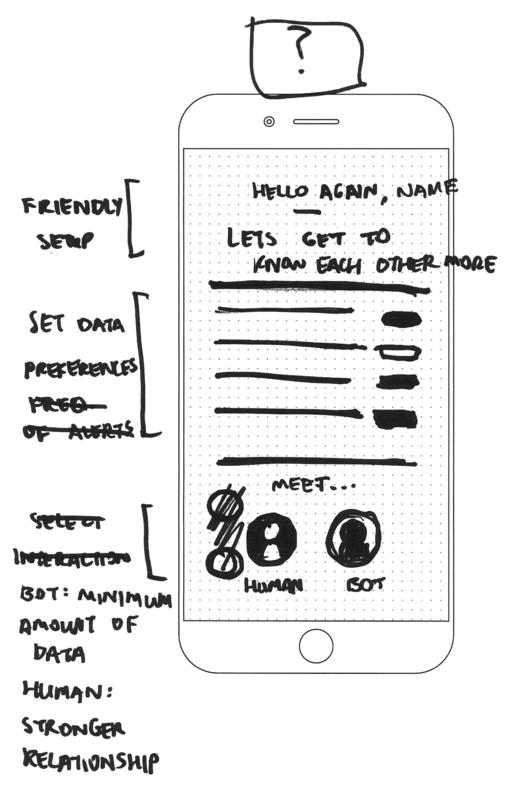 The cross-functional Design Jam team challenged themselves to consider how Oink could build trust by being transparent about what, how, why, when and where personal data was collected and analysed. Would people feel more open towards Oink if they could trial the value exchange of their data in return for add-on services first, without having to fully commit from the outset? People often feel that they have an 'all or nothing' deal and are expected to consent to ongoing data access without evidence of trustworthiness or the potential value exchange. The Oink team challenged themselves to ensure people had the choice to 'try out' services that required additional data to be collected and processed over what was collected during sign-up. This would allow people to make more meaningful and well informed choices at the right time after seeing value, or withdraw consent and delete the data collected. Oink 'asks' for sign-up to gather and analyze spending data for a 30-day period. If the person is happy with the 'Spending Habits' suggestions, they can give consent to keep gathering data on a continuous basis. If they are unhappy with the value exchange, they can withdraw access and the data collected over the last 30 days will be deleted. Oink allows the value exchange between personal data and service to be 'tested' so that a well informed choice can be made as to whether it's 'worth' it. Oink provides a friendly, conversational chatbot that lets people know when their account's balance is low and offers to help. The bot also offers data analysis to see if it might help the person reach spending goals, while assuring them that their data will stay anonymous and their privacy will be protected. Alternatively, the chatbot offers a human advisor to continue the conversation. The advisor is required to ask for permission to access the spending account, unlike most who presume they already have consent and begin. The interface makes it clear that a banking employee accessed the account on 9th August - 'Connor accessed your account' - which gives people peace of mind that their data is only being viewed or accessed in their presence, with explicit consent. The conversational AI appeals to human curiosity and helps to build trust through human-like interactions making the task of managing data feel more natural. Allow more time in the interaction with an app or service to build trust? Express the value exchange between personal data and app or service benefits, to help people decide if it's worth it? Develop interactive relationships with personal data through intelligent, personalized and unique AI services?